A sizeable number of lawyers are worth their salt when it comes to legal knowledge and expertise. However, most of them aren’t able to secure new clients because they don’t do enough activities that encourage business development. If they do, they waste time on the wrong services or activities which prevent them from really connecting with potential clients. Well, the backbone of a law firm is anchored majorly on the legal aspect. But we shouldn’t turn a blind eye to the fact that it is a business too. In this respect, a lawyer has to master business development skills as well. One of the essential skills is devising ways to market a law firm. We allude to the reality that most business owners, directors, partners, or founders, in virtually all industries have it hard when it comes to finding the time to engage in marketing. It is even more difficult for lawyers, considering the hefty legal work they are always involved in. But with proper organization, good time management, and skillful branding, your marketing efforts will bear fruit. How to Market A Law Firm? What plagues most lawyers is their inherent need to be ‘Mr. Fixit’ in all legal matters. They want to be everything to everyone. Thus, they try to market themselves as jacks of all trades. This can never yield substantial results in the long run. There is only one thing that such lawyers will be successful in doing, and, that is, selling nothing to everyone. Marketing for a law firm needs to embrace segmentation. The best way to find your footing as a law firm is finding one type of law and building on it. 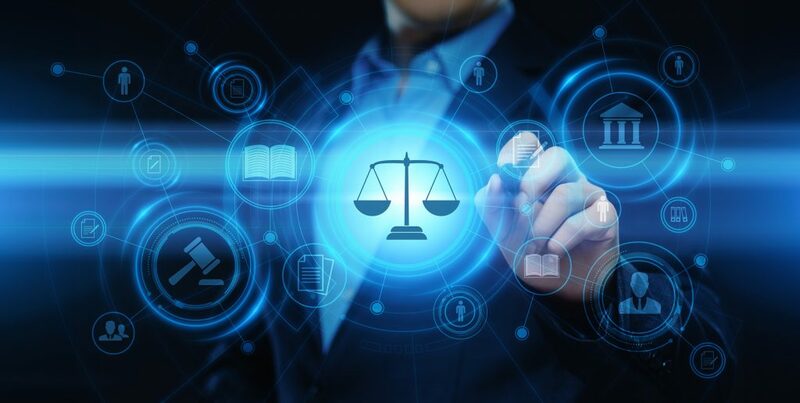 Instead of being a law firm that takes on a variety of practices, set yourself apart by choosing one type of law to specialize in. For example, you can focus on tax-related issues if you have great mastery in it. If you have been treading in the path of general practice lawyers to supposedly ‘cast your net wider,’ it is high time that you desist from such. It ruins your chances of clinching the best clients. Choose one type of law stick to it. Choose one in which you have a genuine interest in and of course one that in which you demonstrate immense prowess. 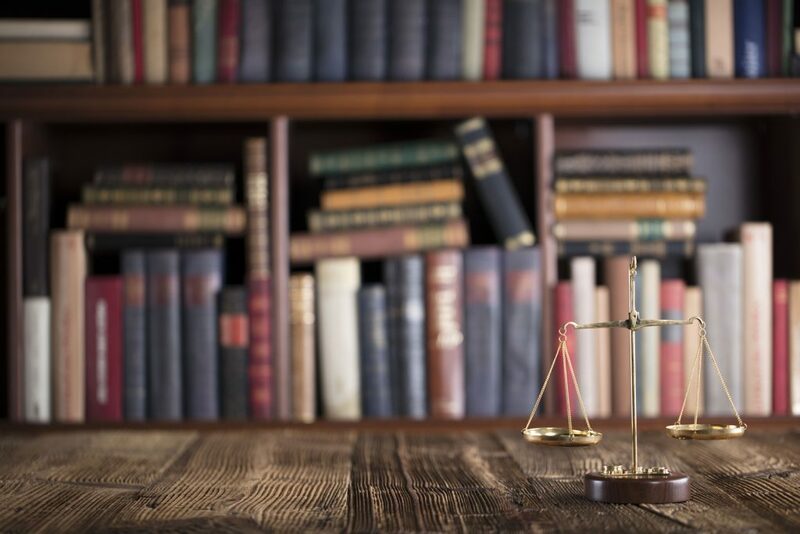 You can always refer your clients to other practicing lawyers when your clients’ need specific legal solutions which are different from the type of law you have chosen to practice. As your market your law firm on these grounds, you will be building a reliable brand in the long run-one which people can trust in. You’ve chosen a type of law to specialize in; now you want to take it one step further. It is apparent that you will want to differentiate your firm from others. A great way of doing this is by choosing a niche within that branch of law. Let’s say that you’re a business lawyer. You want to focus on a specific type of business, such as retail, taxation, or manufacturing. Or maybe you’re an immigration lawyer. You can focus on attracting clients from a specific part of the country or region. The beauty about niche marketing is that you can get to create your own niche. By just being smart and identifying the needs of customers, you can target a specific segment of the market uniquely. Creating customer personas is essential in this endeavor. These personas will help you understand the various wants, preferences, needs, tastes, dispositions, attitudes, and aspirations of prospective clients. With a firm grasp of all these elements that constitute the customer personas, you get to create your niche-by delivering a better service that addresses their problems uniquely. In essence, your goal should be marketing your law firm as one that focuses on a specific area of expertise. You can do that by advertising it on your website and promotional materials. One of the most common mistakes lawyers makes when marketing their law firms is by trying to reach as many people, all at once. Even though mass outreach is one of the goals of marketing, at times, it is counter-productive and inefficient. When marketing your law firm, start by creating a list of prospects and people who could refer you to others. Create a persona for all these would-be customers, and create content that would appeal to them. Bear in mind that this is a continuous process. You will encounter some people who fit in this list as you go about your daily business processes. Instead of contacting everyone on your contact list right away, you can keep your list at the top of your mind through your day to day routine, which could lead to a more massive referral list and healthier business altogether. 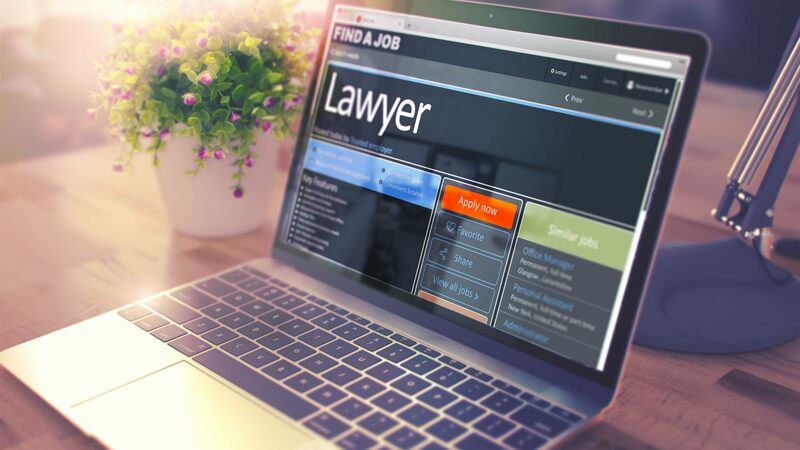 It is one of the ideal ways to market a law firm. Having such a list will make you market your law firm in a targeted way since you have a grasp of the audience of your marketing content. You will know how far to reach out and the viable medium to enhance the process of reaching out. And one more thing, always remember to say thank you when someone has referred a client to you! It may sound basic, but trust us, it goes a long way in paving the way for more referrals. For those who are looking for ways to market a law firm that is in the start-up phase, creating a website should be a priority. Not having a website in this day and age of digital marketing, is an embarrassment, for lack of a better word. Riding on the notion of ‘keeping it old school’ is a mere fallacy which will make you lose out many customers. Sometime back, creating websites for business purposes seemed like an uphill task, but mostly due to the technical-lingo and processes. It was also an expensive venture. However, in the modern age, it is quickly becoming the most basic platform for marketing. Your website design can be instrumental in attracting and retaining valuable customers. Aside from the legal content that you want to feature, the design is a marketing tool in itself. This is attraction in a psychological and professional perspective. Know which colors to use, which subjects to feature, what type of imagery to add, and the graphics to utilize. In this regard, you will have to use the customer persona. Establish what your customer needs and wants from your website. Do this by basing his/her personality traits, tastes, preferences, income, education, dispositions, and everything else you know about them. With this in mind, design your law firm website for this person. Make your communication clear and concise. Save the legal jargon for later when you are in court. Make it easy for them to see your contacts, location, how you can solve their problems. What makes your site visitors convert from prospects to customers is how you stimulate them to action. You can do this swiftly by adding a call to action after every piece of legal content on your law firm website. A good example is when encouraging visitors to enlist for your tax filing and compliance services (if this is your niche). You may stimulate them to action by asking them to sign up, visit your offices or contact you. Your site should also offer useful resources too. This could be anything like a free e-book or maybe even use a link index of essential information about your area of expertise. These useful resources would make site visitors enjoy their stay and would also make them come back frequently for more. Such timely resources hook the customers to your site, raking in great marketing dividends for your law firm. The law firm website will indeed tweak your marketing efforts. It will showcase what you can do for possible clients. An old-school yet viable way of marketing your law firm is through networking. Your law firm doesn’t operate in a vacuum. There is a whole business community out there of like-minded people. Networking entails reaching out to these other businesses in your community. Help them so that they may help you in return. The essence here is to establish a mutually beneficial relationship with them. How You Can Network As a Way of Marketing Your Law Firm? The ulterior purpose of networking is to showcase yourself as one who can help others in the community. Thus, you have to be authentic, genuine, and smart when it comes to networking. When participating in networking meetings, establish your goals beforehand. This will help you pitch in a targeted way. It may also serve as a way of sieving out the networking groups that you want to associate with. Some meetings may be convened for learning purposes, making contacts or even volunteering. With this information beforehand, you may network objectively. This will help you have better outreach. Specifically, associate with those groups which you are genuinely interested in. As networking has a social face, you will mingle freely with those whom you want to associate with. This serves as a great way to give back to those who have helped you be the lawyer you are today. It also serves a great corporate responsibility activity. The benefit? You will have more visibility in the community. Since most networking activities involve discussions, be a great conversationalist. Ask open-ended questions. The 5 W’s and H-factor will come in handy in this regard. Ask Why, Who, What, Where, When, and How, as opposed to just asking yes or no questions. The conversation will be more fruitful, and the other party will feel you have a deep interest in them. The 5 ways to market a law firm discussed are sure to enhance your marketing efforts and in the long run, create a robust customer base. All the best as you apply them! Do you have more tips on how to market a law firm that you would want to share with us? Please share with us below.